Learning a million hairstyles can take a lot of time, something most of us don't have a lot of in the first place. But these two new styles are just a play off a simple one you probably already know: the side braid. If you can braid, try one of these variations by Cute Girls Hairstyles to take your hairstyling to the next level. The first, a feather waterfall, is a simple but elegant look. 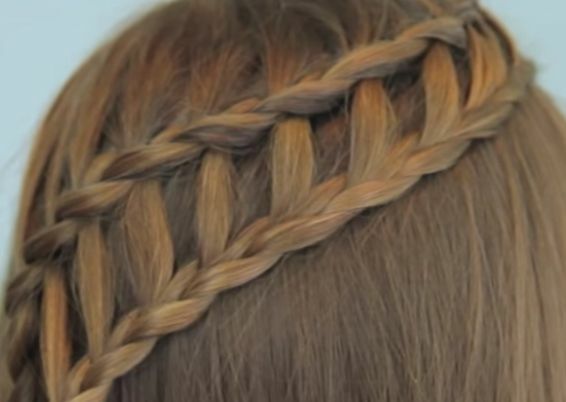 The second variation, the ladder braid, has a more complicated (and eye-catching) look to it. Keep reading to learn more about these styles, and check out the video at the end of the article to see how they're done. For this style, start a regular side braid. After your first stitch, add a lace braid by picking up hair from the left side and adding it to the top piece of hair as you move down. (If you need a refresher on the lace braid, check out the She Knows tutorial.) Then take a tiny piece of hair from the bottom piece and let it fall out. Continue this all the way down. (Note, you add hair only to the top piece and take the hair out of the bottom piece.) 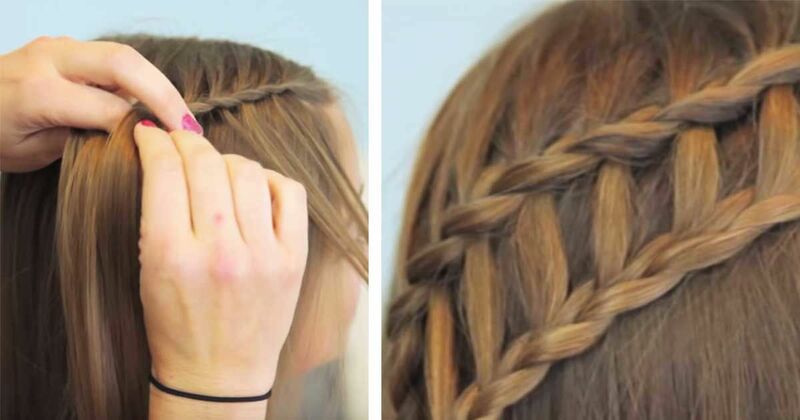 Finish it off like a normal braid. This style moves on from the feather waterfall. After completing the first style, you'll move onto these steps to complete the ladder look. Flip the waterfall pieces over the head so they are out of the way. 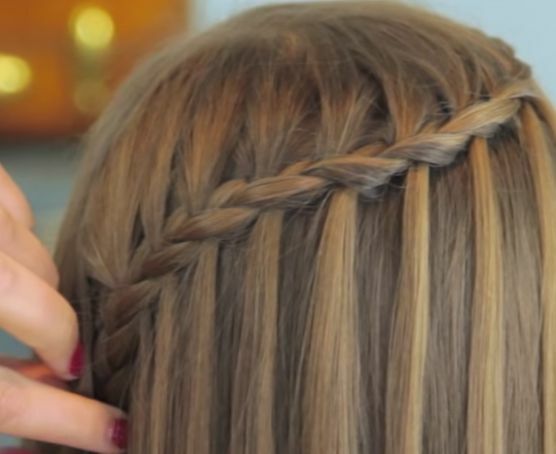 Create a lace braid (adding in the waterfall pieces you set aside). Once you reach your last feather, braid the hair all the way down and secure with an elastic. Watch the Cute Girls Hairstyles video below for the step-by-step tutorial. What do you think of these fun hairstyles? Make sure to share this with your friends on Facebook.